The Scottish company Linn has been producing high quality audio systems for over thirty years. Since their first record player, the Sondek LP12, up to the most recent Classik Music System, Linn has been conferred many honours. The Prince of Wales officially appointed Linn as the sole supplier of home entertainment systems for the Royal residences and the company has also collaborated with Aston Martin in the production of the multimedia system in the hyper-technological Vanquish, the car used in the latest James Bond film. In the boating sector, Linn can boast collaboration with prestigious boatyards such as Sunseeker, Riva, Nautor's Swan, Oyster and Wally Yachts. Luca Bassani, founder of Wally Yachts, chose Linn audio systems for "Tiketitan" and Tiketitoo", just as the owner of the fabulous "Shenendoah 2" entrusted this British firm with the refitting of his multimedia systems. Among Linn products we find Kivor Tunboks, a high fidelity musical file on hard disk, one of the most versatile multi-room audio systems currently available on the market. The Kivor is capable of recording and memorising thousands of hours of high-fidelity music without digital compression and is equipped with interfaces that enable independent access to 16 stereo music channels that can be selected from each room on board using the Linn Knekt multi-room system. Thanks to the latter you can select your favourite music recorded on Kivor from no less than 128 different rooms and it can also be controlled using a normal PC. Linn audio systems on the market include the Sondek CD12 CD player and the Sondek LP12, a record player with an Adikt stylus, offering high standards of quality when listening to vinyl. Linn also offers complete audio and audiovisual systems, like the Classik Music System and the Classik Movie System, equipped with DVD/CD player, AM/FM radio and with the possibility of linking up to a multi-room plug and play system. The Movie System is compatible with the latest technology in the home theatre audio sector, such as the Dolby Digital and the DTS. For each system Linn can also provide high performance amplifiers, Klimax Solo and Klimax Twin, combined with powerful diffusers such as Komri and the Classik Unik. The latter are reserved for the Classik Movie Systems and Classik Music Systems, and can be used both for frontal channels or rear channels and central channels. This Scottish company also produces speakers for outdoors, among which the Sweetspots, characterised by their easy installation and the anticorrosive and waterproof properties of the materials used to produce them. 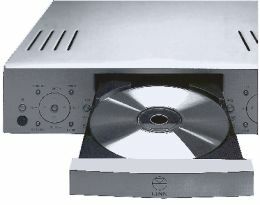 The latest apparatus in the range of Linn's audio systems is the Unidisk 1.1, which thanks to its Silver Disk Engine enables any format to be read, including Super Audio CDs, audio DVDs and Video DVDs. 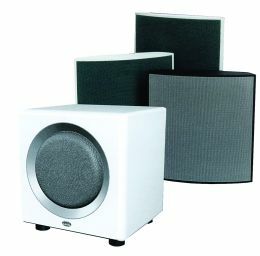 For further information: Linn Products Limited; Floors Road; Waterfoot; Glasgow G76 OEP; Scotland (UK); tel. +44 (0) 141 3077777; fax +44 (0) 141 6444262; website www.linn.co.uk; e-mail helpline@linn.co.uk.